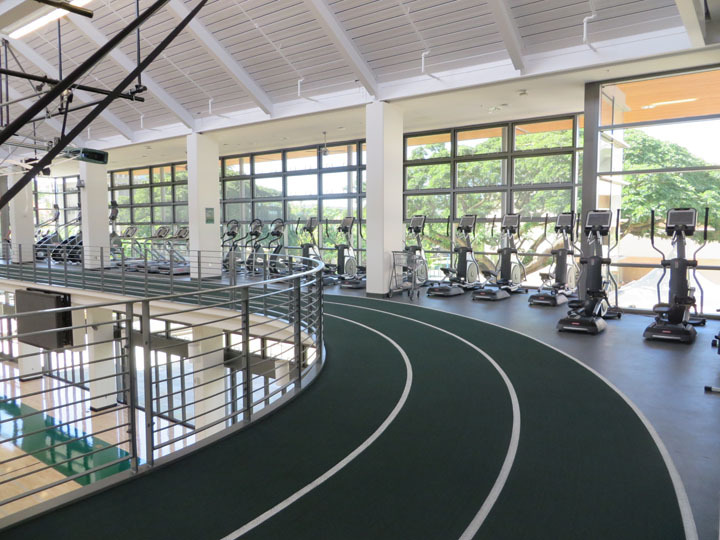 The Warrior Recreation Center (WRC) is located within the University of Hawai‘i (UH) at Mānoa’s Upper Campus in Honolulu on the island of O‘ahu. The construction of this state-of-the-art recreation center was part of the overall Campus Center renovation and expansion project. 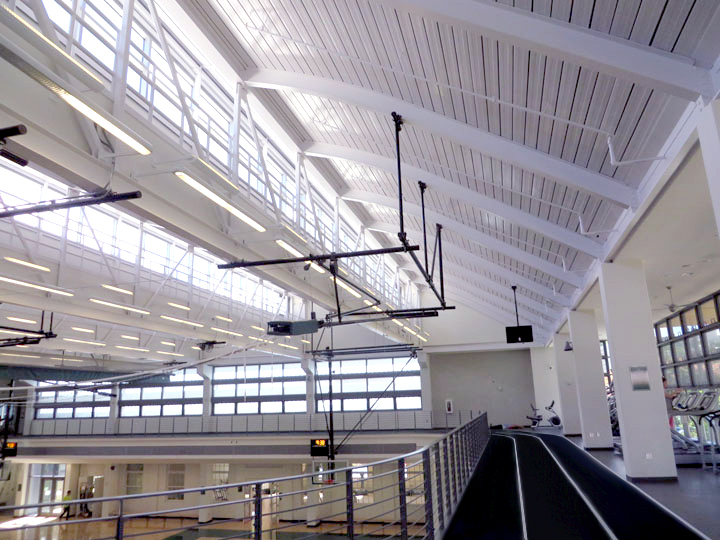 The WRC is a two-story facility with approximately 66,000 square feet (SF) and includes basketball/volleyball courts, strength training area, multi-purpose exercise rooms, and indoor jogging track. The Project received LEED Gold Certification. Design features include floor-to-ceiling windows with large canopy overhangs on the southern facade, solar shading devices along the eastern and western facades, and clerestory window monitors on the upper roof of the gym area on the north facing side of the building to take advantage of sunlight. 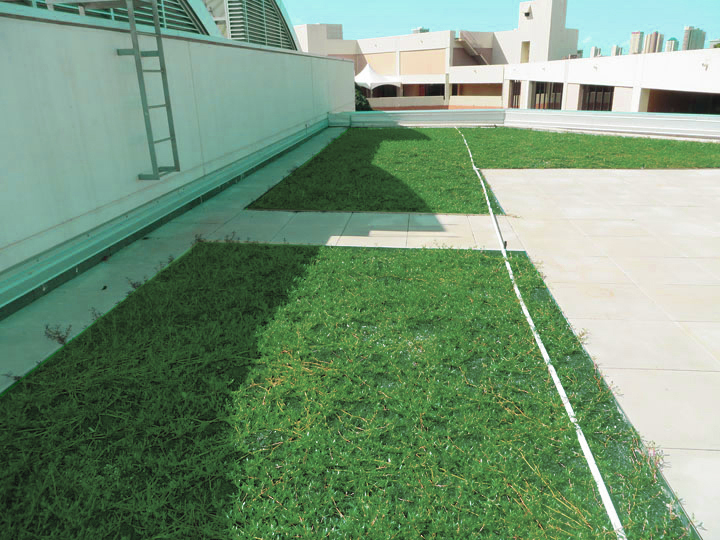 The project was designed to maintain natural stormwater flows by installing a partially vegetated roof of native ‘ākulikuli and landscaping the perimeter of the WRC with laua‘e, bamboo, and ‘ulu. The stormwater drainage system was designed to collect and store rainfall in underground storage tanks (60,000 gallons) for non-potable reuse, primarily landscape irrigation.